Did You Lock or Lose Your Keys in Your Car, House or Business in Kenosha WI? You Need an Emergency Mobile Locksmith! There are some moments that happen in life that make you panic! One of them is when you go out to get in your car only to realize that you have locked your keys inside. It doesn’t often happen at a convenient time and most of the time it is when a locksmith that has normal office hours is closed. It also seems to happen when you are in a hurry to leave or you are at the store and have a cart full of groceries. The timing is never good and you can’t very well wait for hours for someone to come out and help you. You usually require a professional emergency locksmith that is available to come out and get you back in your car and on the road as fast as possible. 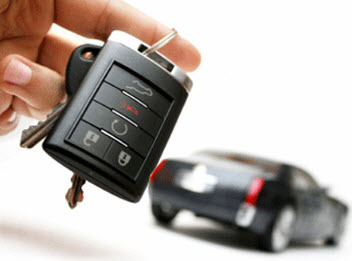 Best Locksmiths lists reasons that you may require an emergency mobile locksmith services. Lost Car Keys But No Spare Requires An Emergency Locksmith: Most people have a spare key to their car so if you misplace them at your home this service may not be necessary but if you are out and about it may be required. If you are at the store and doing you’re shopping only to realize in the parking lot that your keys have dropped out of your pocket and they are nowhere to be found, you need to have a locksmith get you a new key made ASAP. This can be done when you call an emergency mobile locksmith who can make a new key and have you back in your car right away. If you have lost your keys at the store or in a public place, call a locksmith to get you in your car; no matter the time of day or night. Car, Office or House Keys Were Stolen: Having your keys to your house, business or car stolen from you can leave you in a state of shock. You may not know what to do next and you start to think about what the thief now has access to. The thief could have access to all your confidential information and personal belongings. 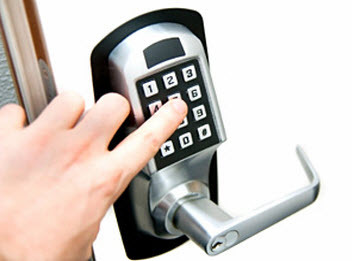 It is imperative that you have your locks replaced by a professional locksmith as soon as possible. Having a new key made will get you back in the vehicle or building but it will still allow the thief’s key to work as well. Changing out the locks will give you ease of mind and make you feel safe and secure again. Everyone has experienced at one time or another losing their keys. Whether it was your car keys, your house key or a key to the office or foot locker; losing your keys is one of the most frustrating and stressful places to find yourself in. Today more and more vehicles come with smart keys, meaning that you do not even need a key to start the vehicle, but just have the remote inside of your pocket or in your purse in order for the car to start. This seems like a great way to avoid even having to pull your keys out, but unfortunately, even these little devices get lost and they are much more expensive to replace than a simple standard car key. Always Losing Your Keys? Stop! It is important to train yourself to treat your keys differently than any other object. Attaching your keyless entry remote to a larger item like a wallet or a handbag will make it much more difficult to lose. Many people get into the habit of their keys never leaving their bag at all. If you have a remote sensor this is very possible. If you do not have a remote sensor, but the standard key, get into the habit of placing your keys in the exact same area when you arrive home and in the exact same pocket of your bag when you are out of the house. Forming habits with your key placement will greatly assist in avoiding losing your keys. Many people wait until they have already lost their keys to make the choice to get duplicates. Always have a backup plan before hand, so you are prepared to deal with any type of situation that involves your keys being lost. Have duplicates made a head of time and store them in safe areas that you will remember so if you never end up finding your keys or if you are in a hurry, you can quickly grab the backup set and not lose anytime off your daily schedule. When you take the time to have duplicates made, you will not be left stranded for days without keys that you need. Best Locksmiths is your number one choice for locksmith service and if you find yourself in a bind and cannot find your car keys, contact Best Locksmiths today. It is always a great idea to have a locksmith’s number in your contacts just in case you find yourself in a situation that requires such skill and experience. Best Locksmiths will get you back on the road in no time. According to statistics, a burglar will attempt to break and enter into a residential home every 15 seconds. Even more alarming is that fact that over 60% of intruders break into homes by force and 33% target the front doors. 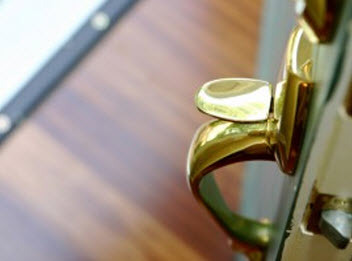 The knowledgeable experts at Best Locksmiths make it their primary objective to help homeowners protect their property by providing home locking solutions designed to keep you and your family safe. •	Keep your blinds and curtains drawn – While this may seem obvious, it is often something we forget to do. Many insurance companies suggest keeping blinds closed to keep valuable items hidden from view and make it much less tempting for would be intruders to want to break into your home. •	Install Deadbolts – Many insurance companies along with the experts at Best Locksmiths recommend installing deadbolts on every entryway door. A double cylinder lock with a keyed opening on both sides is recommended. According to the security professionals at Best Locksmiths, a double-cylinder lock is perfect on a door that is located near a small window like those in a foyer. If the robber breaks the glass and attempts to reach in to open the door they won’t be able to get it open. •	Exterior Lights – a good rule of thumb is to make sure that your home is bright and well-lit on the outside. The brighter the home, the less likely it is to be robbed. Motion-sensors work especially well at the front of the home and can essentially help guard your entrances and doorways as they are designed to light up when they sense movement as someone approaches. •	Interior Lights on a Timer – When you spend time away from your home, it’s important that your home gives the illusion to anyone watching from the outside that someone is inside. A great solution is lights on a timer that can also include a radio, television or other electronics. The security technicians at Best Locksmiths recommend setting a timer to switch on about 30 to 45 minutes before it gets dark to make it more convincing. When combined with a radio or television, the impression that someone is at home can be very convincing. Activate the system during the day when you are away from home, not just in the evenings. For more information about security measures to protect your home and family, contact the experienced professionals at Best Locksmiths today. Our knowledgeable customer service technicians are available to guide you and provide you with a solution to your residential, commercial, auto and emergency locksmith needs. 24 hours a day, 7 days a week, you can rely on the locksmiths and service technicians at Best Locksmiths to keep you and your family safe and secure. How to Remove a Broken Key From a Lock Cylinder in Kenosha WI; Try Using Tweezers, an Extractor Tool, Tap the Lock or Call a Professional Locksmith! Have you ever gone out and used your key on a lock that might be a little sticky and the key has broken off? This can be a terrible feeling since the part of the key that is stuck can allow the lock to be engaged and disengaged. That means that you cannot secure the lock or the entry point in any way. That is usually an emergency situation that you need to call a locksmith to come out and take care of the key removal. There are some ways that you can try to remove the key yourself but calling a locksmith is the best bet. The first step to trying to remove a broken off key is to NOT use the rest of the key at all. The more you use the extra part of the key the further the broken off part will go in and that makes it harder to remove in any way. Start the broken key removal by adding some kind of lubricant to allow the metal piece to slide out easier. Best Locksmith lists of a few ways to remove a broken key from a lock cylinder. Try to Use a Pair of Tweezers to Get the Broken Key out of the Lock: Any pair of tweezers can be used to remove the broken bit of key. Depending on the size of the key hole will determine if the tweezers will work at all. If the tweezers are too thick they may not be able to insert enough in to remove the key. You also can use this method if you have the broken bit of key out a little bit and can easily grab hold of it. Use A Broken Key Extractor Tool: There is a tool that you can use to extract a key that has broken off. They key extractor is used most often by a professional locksmith but if you have this tool you are attaching the key extractor along the key teeth. You may need to try several times to get a hold of the key and remove the bit that has been broken off. Having some experience in using the tool is better when trying to use it and that is why most of the time a locksmith is the person best suited to this task. Tap the Lock: This is an option that you can use if you are able to remove the lock piece. You can take the lock off of the door or drawer etc and set it on end so that the keyhole piece is facing down. There are some times that the key will just fall right out of lock and clear it for you. If you have a key that has broken off in a lock, call Best Locksmiths in Racine, Oak Creek, Burlington & Kenosha Wisconsin.